Much has been quite rightly said, about the legacy, trials and tribulations of Sierra Leone’s former president – Dr. Ahmed Tejan Kabba. 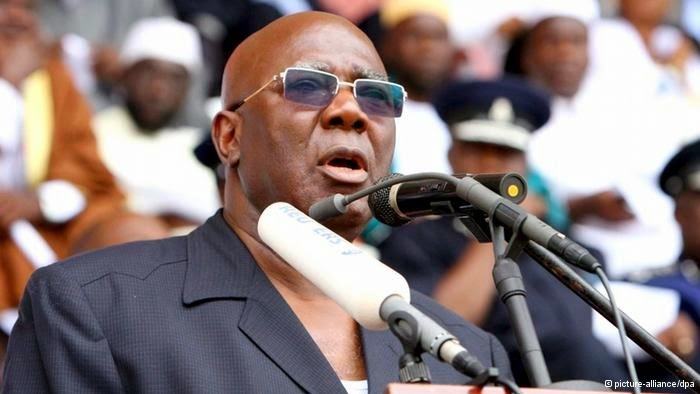 And no doubt, his memories will continue to evoke positive debates among the people of Sierra Leone, as they search for better political leadership. Today, Sierra Leone’s presidential hopeful – Dr. Kandeh Kolleh Yumkella, shared his thoughts with the Sierra Leone Telegraph, on the former president he describes as “Sierra Leone’s Peace Maker”. 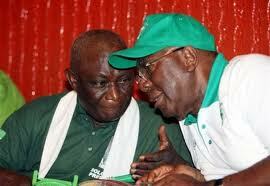 This week we lost a patriot – former President Alhaji Ahmed Tejan Kabba. I visited Pa Kabba and his wife Mrs. IJ Kabba in January this year, thinking in my heart that it could be the last time I might get to see him. I told him about my speech at the Freetown Dinner Club two weeks earlier. He simply nodded and smiled a little. I told him that the nation did not fully understand why his focus on institution building was so critical for national development, and hence, could not fully appreciate his legacy. Again, he nodded and smiled. In the United Nations we say; “Without peace there can be no development, without development peace cannot be secured, and both cannot be attained without a commitment to human rights and the rule of law”. In this one statement, we capture the universality of four key principles: peace and security for all, development and prosperity for all, protection of human rights and commitment to the rule of law. When Ahmed Tejan Kabba, Pa Demby, Pa Berewa, and James Jonah assumed office in 1996 – (Kabba and Jonah being true products of UN “structuralism”), they recognized that if Sierra Leone was to avoid future conflicts and become prosperous, it was urgent to rebuild the institutions of governance and security, and quickly institutionalize democracy and the rule of law. In order to fully appreciate president Kabba’s legacy, it is noteworthy to appreciate one contextual reality, that for almost three decades of our fifty-three years as an independent nation state, we were governed under one-party rule or Marshall Law. Thanks to President Tejan Kabba, we achieved peace after eleven years of war. That was not easy to achieve. It took statesmanship and bold leadership to forgive the rebels and sign the peace accord. Should anyone think that peace is cheap or easy to accomplish, they should ask the people of South Sudan, the Columbians, or better still – read about the American Civil war. 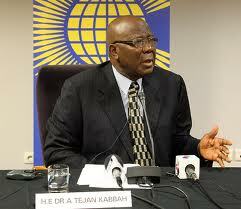 Thanks to the peace agreed by Tejan Kabba, Sierra Leone has been able to stage three peaceful elections. (photo: Kabba – right, talking peace with rebel war lord sankoh). Thanks to that peace, today president Ernest Bai Koroma and his team could focus on infrastructure development, attracting foreign direct investments, and providing universal health care for pregnant and lactating women, and children under five. President Kabba and I once reminisced about how some strong-men and women in the SLPP party were bent on revenge, as the majority of the cabinet had opposed the signing of the Lome Peace Accord. With threats of resignation, others were gunning for vengeance. But he and Mr. Solomon Berewa took the decision to forgive Foday Sankoh, the RUF and all others for the sake of peace. Some of those parading today as leaders or claiming to be politicians, were unknown until Pa Kabba gave them a chance at national service. In fact, those individuals could have been in jail, had it not been for a forgiving President Kabba and Solomon Berewa as Attorney General – both of whom refused to prosecute and instead asked the nation to forgive their unlawful actions. On December 25th 1999, the UN had evacuated non-essential staff and their families, including those of us on home-leave to the hotel Kamayane in Conakry. After an internal briefing by Ambassador Peter Penfold and Ambassador Okello to the UN Observer Mission and UN staff at the hotel, I volunteered to return with Okello on the helicopter to brief President Kabba. The rebels arrived in Freetown on January 6th and General Joshi organized another final evacuation. I was on the first airlift to Lungi that fateful day. What did Kabba’s government achieve? “A decade of war destroyed everything we held dear. Our sense of dignity was shaken. It uprooted and displaced almost half of our population and badly degraded key administrative and governance institutions. Through his leadership as President of the Republic, and supported by the clergy, civil society and the international community, Kabba’s government asked us to forgive each other and even allowed the RUF to form a party, similar to Mandela forgiving the Afrikaners. His government launched major reconstruction efforts which laid plans for major infrastructure projects. Institutions such as NASSIT were established – guaranteeing every worker in the public sector and the private sector a right to pension benefits. Today, we see former ministers and former heads of state enjoy pensions and after service benefits. This has been made possible because Pa Kabba (Photo) personally put a Bill before parliament to that effect, which Ernest Bai Koroma graciously chose to uphold, upon his assumption of the mantle of state. Several other institutions were created through Acts of Parliament brought forward by the Kabba Administration. The National Revenue Authority (NRA) was established, bringing some sanity to the management of fiscal policies. The Anti-Corruption Commission was formed to deal with probity in governance, stem the abuse of office, as well as reduce malfeasance. The privatization commission and the roads authority were also strengthened. 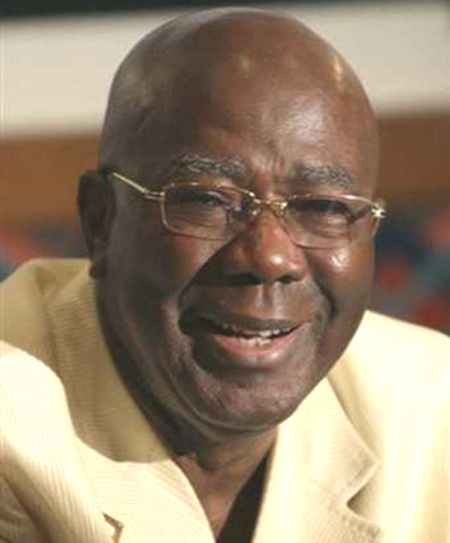 Kabba’s administration reintroduced local Councils, which were dissolved in the 1970s. He legislated the 2004 Local Government Act, which is today seeking to devolve some authority back to the provinces and empowering local communities. His government institutionalised democracy, with a functioning multi-party – as opposed to one party parliament. He created a conducive environment for free press to flourish. Since 2002, Sierra Leone has had three peaceful elections, with his ruling party suffering and accepting defeat, showing all the hallmarks of a strong democracy. Some in his SLPP party would prefer to bury his legacy, because they expected Kabba to reverse the results of the 2007 elections, thus subverting the democracy he had worked hard to recreate. As one journalist said just before the end of the Kabba administration, they became “a mumu-government”. Some of his critics vilified him and claimed that he was ineffective and had destroyed their party. But they seem to have forgotten that the only time the SLPP party showed a national character with a landslide victory, was at the 2002 general elections. 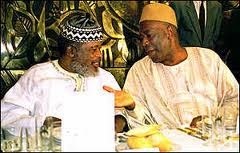 This was mainly because of Pa Kabba’s Northern roots and national appeal, in elections declared free and fair by the international community. 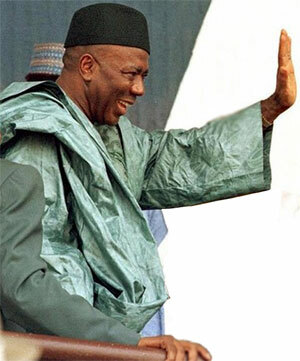 Under his leadership, his administration rebuilt the country’s education and health infrastructures. Schools destroyed during the war were rebuilt, laying the foundation for increased school enrollment, particularly for the girl child. Health centres or posts were also rebuilt in almost every chiefdom in the provinces, and staffed with qualified health care workers. Kabba’s administration rebuilt the country’s security apparatus with the support of DFID and IMAAT. He revamped the police force – led by the British Inspector General Keith Biddle, who helped to restructure and train the police. 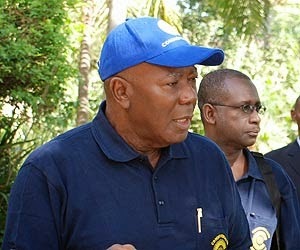 President Tejan Kabba re-built an army that had been badly fragmented and demoralised. The revival of popular music culture, criticising the status quo was re-instated during his time as President; remember “Borbor Belleh” and “Two Foot Arata”? It was the emergence of this popular musical culture of self-expression – without fear, which helped to bring President Koroma to power in 2007. And ah yes, his administration also left significant cash in the reserves. So, how should we remember the former President? He should be remembered as our own Abraham Lincoln. Ending a brutal war; re-establishing the rule of law and freedom of the press. And, rebuilding democratic institutions was a challenge he confronted for the good of Sierra Leone. As a nation, we should be humbled by his leadership and be inspired by his commitment to reconciliation – the peace that he built, which we are enjoying today. Could he have done more? Yes! Like every human being, he had his challenges, but he did what he could under the difficult circumstances of a war-torn and penniless country. He laid the foundation for a new nation to rise out of the ashes of eleven years of civil war. We have just lost a giant – May his soul rest in perfect peace. 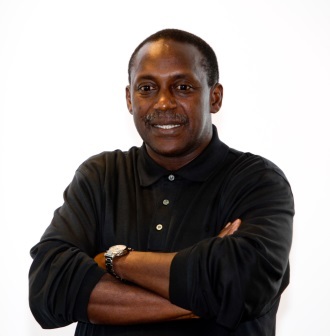 Dr. Kandeh Kolleh Yumkella (Photo) is Under-Secretary-General at the United Nations and the Secretary-General’s Special Representative for Sustainable Energy for All. He is the Chief Executive Officer of the Sustainable Energy for All Initiative. Previously, Kandeh was a two-term Director-General of the UN Industrial Development Organization (UNIDO).